We all have our strengths, and our weaknesses. 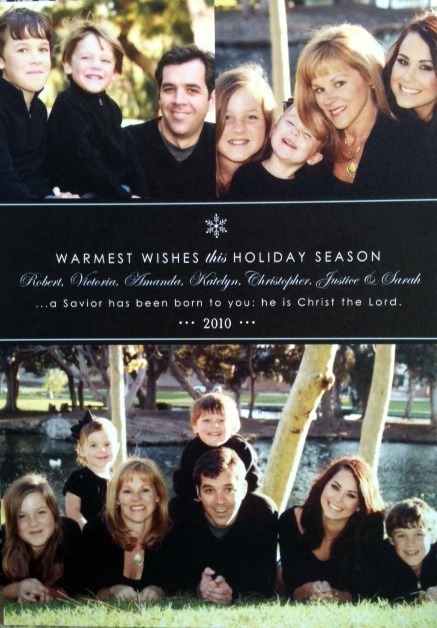 I am terrible at getting Christmas cards out. I’m good at picking them out and ordering them. It’s the addressing, stamping and mailing part that challenges me. Just to illustrate, my husband and I were married in October of 1995. I had the cutest cards made with our wedding picture and the words “Marry Christmas”. Get it, “Marry” instead of “Merry”? Anyway, I must have had 150 of these lovelies made up. I wrote little thank you notes for our wedding in them, addressed them, and stamped them. Well…about 10 years later, I found a box full of them! Stamped, addressed, everything! What happened? I know some people got them, because they felt it necessary to inform me that I misspelled “Merry”. Urgh! I ALMOST put them in the mail and blamed it on the post office. I was so embarrassed that so many people didn’t get a thank you note from our wedding. Oh well, I moved on. That brings me to Christmas 2010. We had the cutest pictures taken in October (plenty of time), ordered Christmas cards, and never got them out. Fast forward to this year. I just couldn’t justify ordering more cards after my failure to follow through last year. So, it’s last years card you get! Yes, I am mailing out last years card. I wonder how many people will even notice? I don’t think I would. I would be too busy admiring those cute kids! 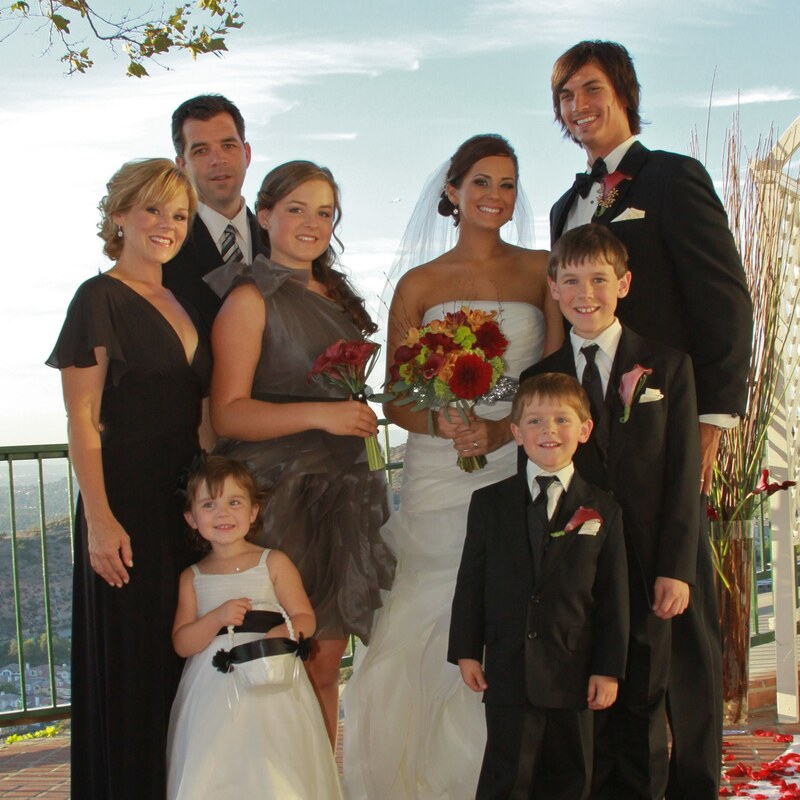 Just to update things a bit, I included a picture from our daughter’s wedding in October of 2011. Isn’t she beautiful? My only expense was $13 for the copies of the pictures and postage. Not bad.